Singapore-based Transcelestial Technologies announced it has raised $1.8 million in seed funding and is doing early demonstrations of its laser communications technology destined to fly onboard a nanosatellite constellation. Initial ground tests have been conducted with the participation of SK Telecom and The Telecom Infra Project (TIP). The company is working to build the world’s first space laser network using wireless laser communication and nanosatellites to deliver commercial high-speed internet anywhere on Earth. The seed round was raised in December 2017, lead by Wavemaker Partners in partnership with SEEDS Capital (investment arm of Enterprise Singapore), and joined by Airtree Ventures, 500 Startups, Michael Seibel (CEO of Y-Combinator), Jonathan Schiff (Venture Partner, WI Harper Group), Charlie Songhurst (Microsoft’s former Head of Corporate Strategy), Josh Manchester (Champion Hill Labs), and other prominent angels. Over the past year, Transcelestial has used funds to turn its Chinatown office into a laser communications lab and conduct terrestrial trials in Singapore and South Korea. One of the first public demonstrations of Transcelestial’s technology was a joint project with SK Telecom in South Korea and the Telecom Infra Project’s (TIP) Ecosystem Acceleration Center (TEAC) Initiative. 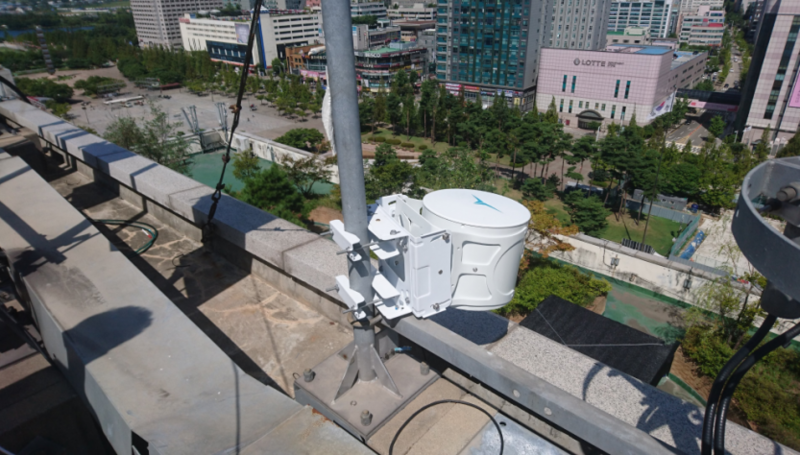 Transcelestial’s laser technology was used to upgrade the backbone internet connectivity of a major public library near Seoul, improving bandwidth by a factor of 20 times. It’s the partnerships with SK Telecom and TIP that may prove to fruitful in generating terrestrial customers as the company looks to building a large-scale laser communications satellite network. “We at SK Telecom are closely working with Transcelestial to explore further inclusion of their technology in our wider commercial network across South Korea”, said JW Kim, Head of Open Collaboration Development, SK Telecom. TIP, founded by Facebook and now a coalition of telecom vendors and service providers, is working to lower the cost of telecommunications equipment. Transcelestial says it will share further details on R&D and commercial progress for both terrestrial and space applications at the TIP Summit 2018 in in London this October. Transcelestial says it expects to get up to 100 Gbps speeds for long-distance, point-to-point wireless communications, a significant leap from the current 100 Mbps laser and RF speeds demonstrated in smaller satellite form factors. The company says it plans to develop a constellation of nanosatellites for “ground, space and deep space applications” in the next three years. However, the company faces stiff competition in integrating and applying laser communications into small satellites, with at least two companies already have demonstrated hardware in-orbit. Analytical Space has Radix, its proof-of-concept mission to use laser as a high-speed downlink for a constellation of radio relay satellites. BridgeSat is already getting its low-cost laser terminal put onboard ICEYE’s radar satellites. In August of this year, The Aerospace Corporation demonstrated a 1.5U laser communications terminal packed into a 3U cubesat capable of delivering 100 Mbps. Transcelestrial’s advantage may be in dual-use hardware designed for both ruggedized ground use and space launch.